Blade height (at heel): 0.86 in. 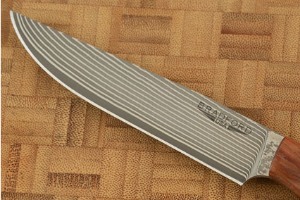 Description: Bradford Knives are handmade in Renton, Washington. 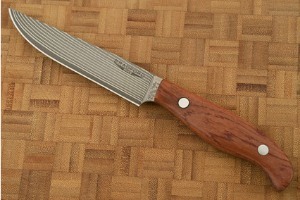 His background working in an aerospace machine shop is clearly evident in these high performance, elegant steak knives. We're very excited about these steak knives. 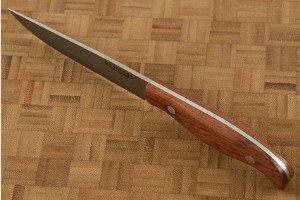 In fact, they are literally the best steak knives we've ever seen!. Super Gold II (SG2) powdered metallurgical (PM) steel is combined with the beauty of damascus. A high performing Takefu SG2 PM stainless steel core is surrounded by thin layers of stainless damascus steel. The resulting cutting edge is tempered to Rc 62 - 63 (very hard!) 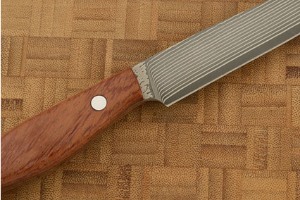 for exceptional edge holding, but is easy to sharpen due to the small grain structure. The incredibly small crystalline size of this PM steel results in superior edge holding when compared to nearly any other stainless steel used in the knife industry. The blades are full flat ground. 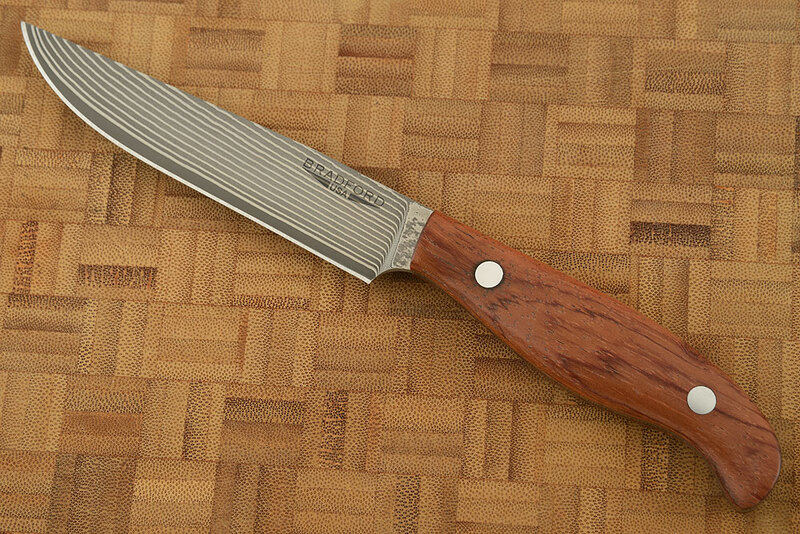 The blades were heat treated by Peters' Heat Treating, for a keen, long lasting edge (Hrc 62-63). 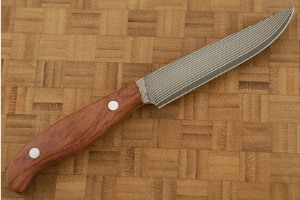 Natural bubinga (Guibourtia tessmannii) scales are set on a full tang for strength and durability. 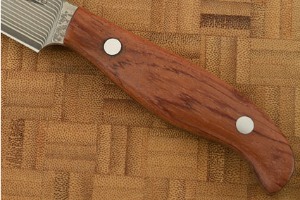 The handles are nicely contoured with a palm swell. The scales are sealed with epoxy and fastened with custom made stainless Corby fasteners. 0.125 0.047119140625 125 47.119140625 Trailer Started. 0.218994140625 0.093994140625 218.994140625 93.994140625 Trailer Completed.